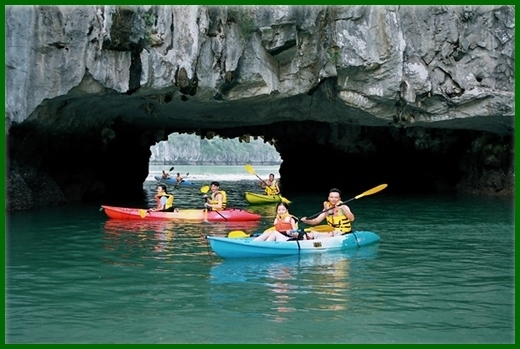 Kayaking in Halong Bay is one of the highlights for travellers to Vietnam. 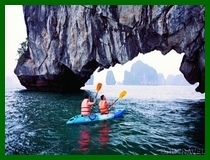 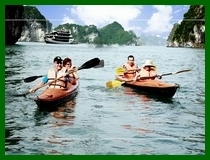 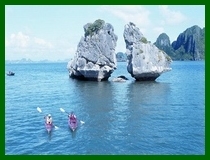 with it's 3000 large and small limestone karsts, Halong Bay offers the ideal venue for paddlers. 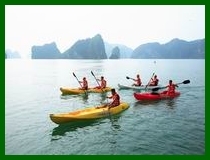 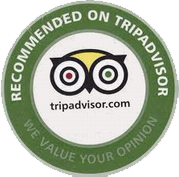 Most cruisers in Halong Bay are equiped with kayaks, active travellers who love kayaking can take 3 day cruise, with the full second day kayaking.